Man Rams Motorized Wheelchair Into Empty Elevator Shaft. This very angry man on an electric scooter, for some unknown reason, continues to ram his chair into a closed elevator after missing his entry. He eventually breaks the doors down and sadly plummets to his death. 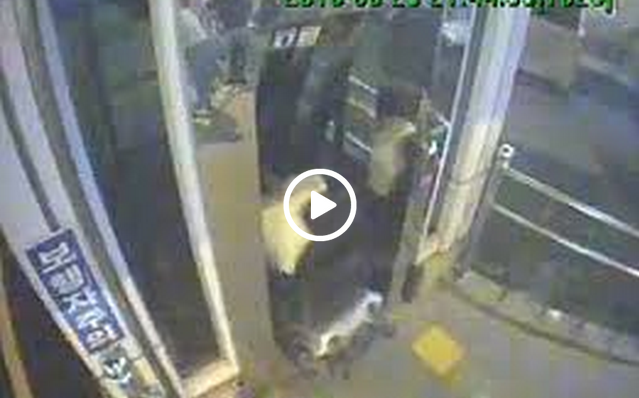 This unfortunate incident happened at a shopping center in South Korea. The man was 40-years-old, and went by the name of Mr. Lee. The shopping center has vowed to strengthen the doors so that this type of incident never happens again. Mr. Lee’s family is suing the shopping center for not having stronger elevator doors. Mr. Lee plunged 19 feet to his death. Did This Note From A Teacher To Her Student Go Too Far?